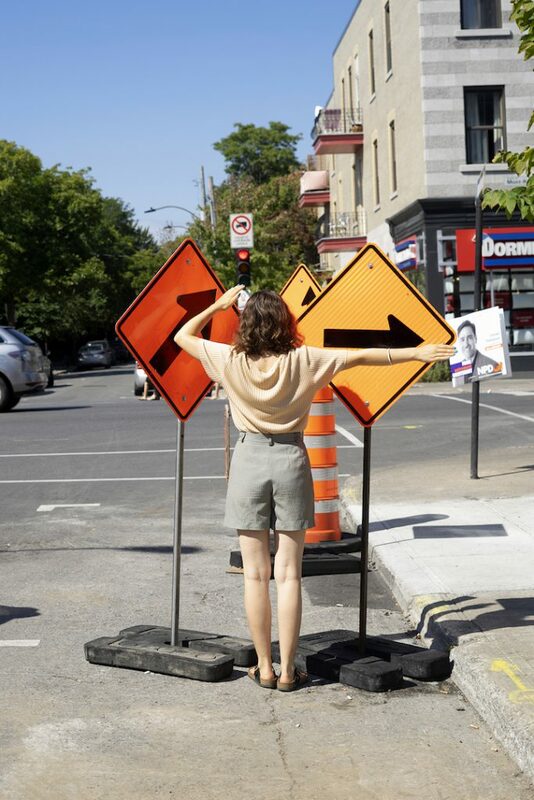 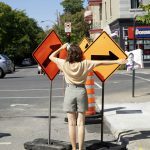 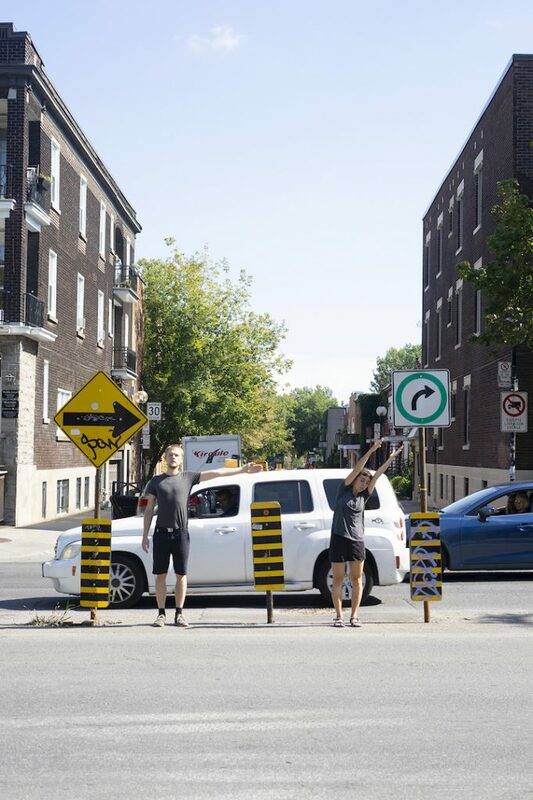 About »How to Decode Urban Signs (Revisited 2018)« In 2017, the work »How to Decode Urban Signs« investigated the role of trafic signs in human movement through urban environment of Montreal. 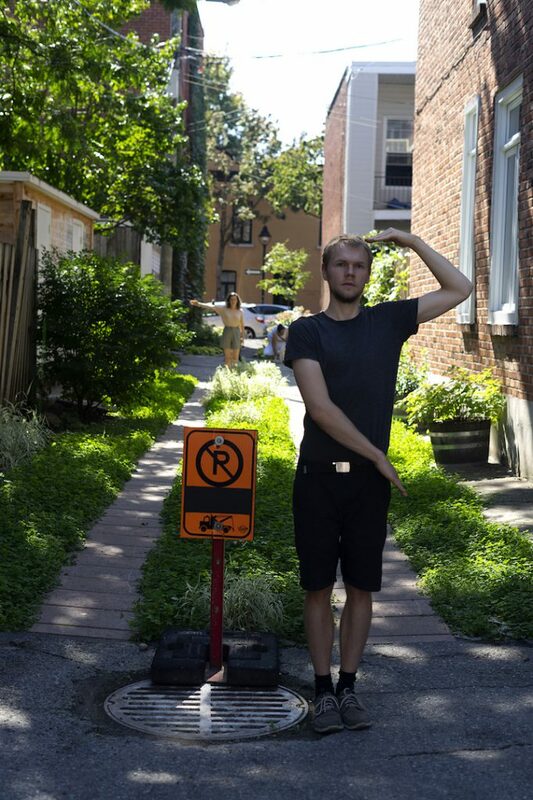 Several signs were decoded as performative instructions, using their pictorial content as a foundation. 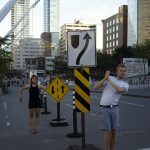 With Rudolf Laban’s notation system in mind, an alphabet of movement was created that abstracted but still displayed the icons it derived from. 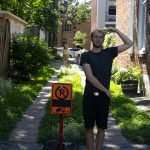 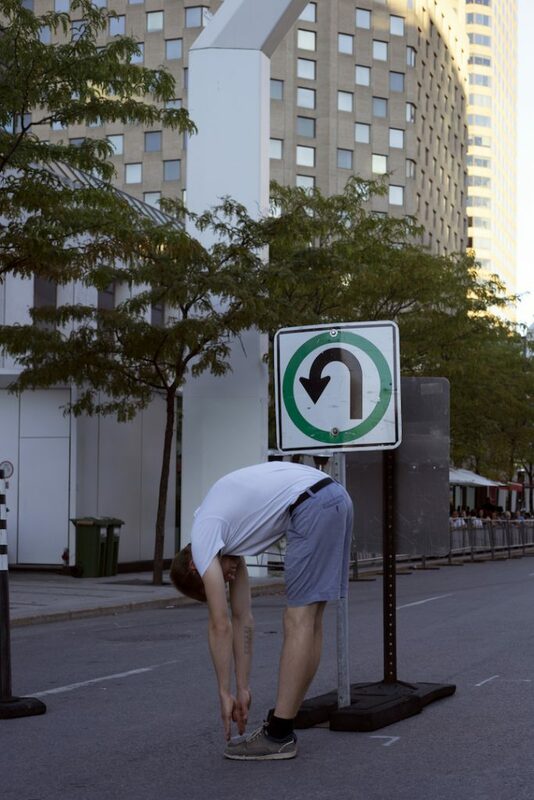 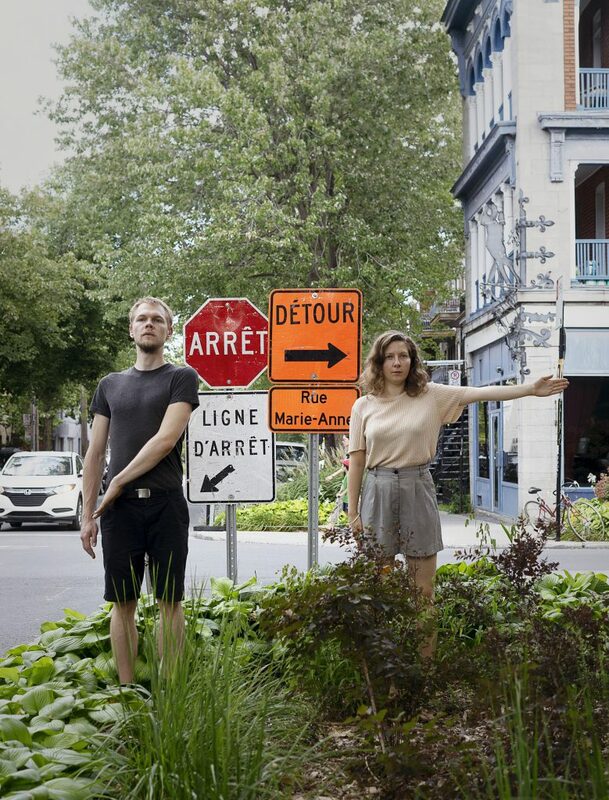 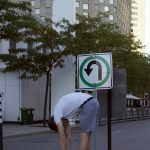 Revisiting Montreal in summer 2018 this alphabet was enriched and investigated due to several improvisational performances in diferent areas of the city. 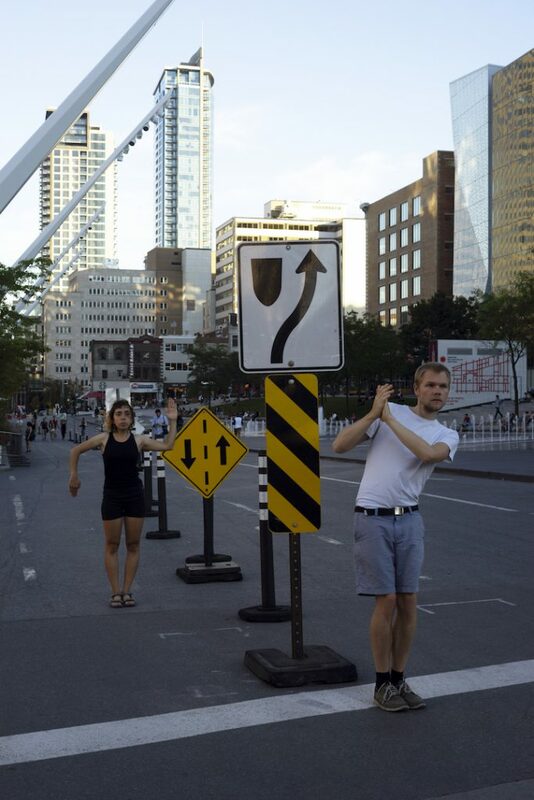 The aural sphere of the decoding process was explored as well. 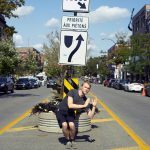 Taking a sequence of images from mapillary.com containing street signs as input, a chain of programs generates a soundtrack on the spot, based on the appearing street signs. 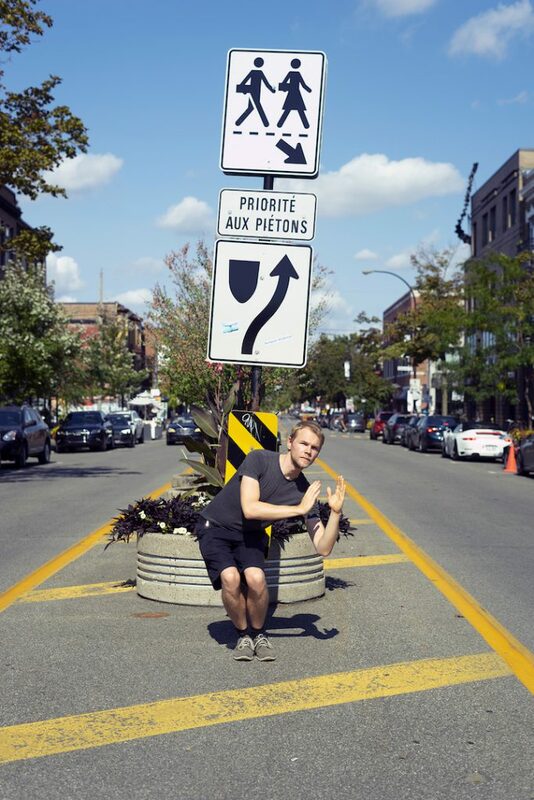 Diferent street signs lead to diferent results and the program can be played with any sequence that was uploaded to Mapillary, as long as there are street signs recognized by the page’s algorithm. 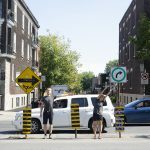 The core of the project is to reveal the highly complex visual input that cities expose to the human body and translate this constant stream of information into a dance piece.